We are engaged in manufacturing, importing, exporting and supplying of Castle Nuts from Delhi, India. The Testing Instruments, are precisely manufactured by utilizing advanced tools procured from reliable vendors and latest techniques. 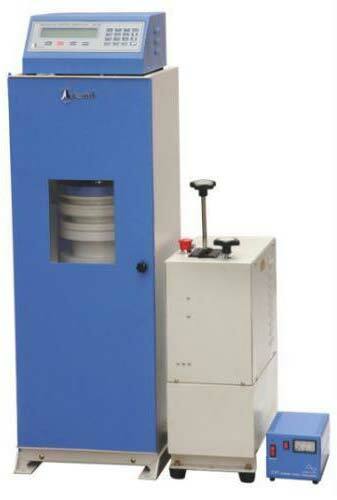 We ensure timely delivery of the Civil Material Testing Instruments all over the world. Types of Civil Material Testing Instruments : Pioneers in the industry, we offer Civil Material Testing Equipment such as Compression Testing Machine, Aimil Visco 2000 Viscometer, Triaxle Cells, Permeability Apparatus, Length Gauge, Load Frames, Universal Automatic Compactor, Vibration Machine, Riffle Sample Dividers, Density Baskets, Sieves And Sieve Shaker, Liquid Limit Device, Shrinkage Limit Set, Asphalt Mixer, Core Case, Mortar Mixture, Benkelman Beam, Cement Autoclave, Constant Pressure Systems, Dynamic Cone Penetration System, Curing Simulation, Concrete Mixers, Relative Density Apparatus, Proving Rings, Consistometer, Swell Test Apparatus, Vane Shear Apparatus, Triaxle Test Outfits, Standard Penetration Test Set, Flexure Strength Testing Machine, Air Permeability Apparatus, Proctor Compactation Apparatus, Universal Penetrometer, Asphalt Content Tester, Universal Penetrometer, Static Cone Penetrometer, Self-Consolidated Concrete, Standard Tar Viscometer, Ductility Testing Machine, Speedy Moisture Meter, Asphalt Mixture Density Meter, Cylindrical Metal Measures, Asphalt Extraction Apparatus, Trichloroethylene Recycler, Shrinkage Bar Molds, Flow Table, Aggregate Impact Testers, Sand Pouring Cylinder Apparatus, Automatic Compactor, Length Comparator, Concrete Penetrometer, Core Cutter, Digi Marshall Apparatus, Slump Test Apparatus, Pulverizer, Marshall Apparatus, Crushing Value Apparatus, Automatic Blain Apparatus, Jaw Crusher, Merlin Material Testing Machines, Ball Mills, Consolidation Test Apparatus, Bump Integrator, Direct Shear Apparatus, Compactation Test Apparatus, Vicat Apparatus, Permeability Testers, Rheometers for Concrete, Precision Air Entrainment Meter, Friction Tester, Accelerated Polishing Machine, Automatic Ring and Ball Apparatus, Plate Bearing Test Apparatus, Unconfined Compression Tester, California Bearing Ratio Test Apparatus and many more.